The Nécessaire Egg is one of the missing eggs. Known is that it contained a small 13-piece manicure set. 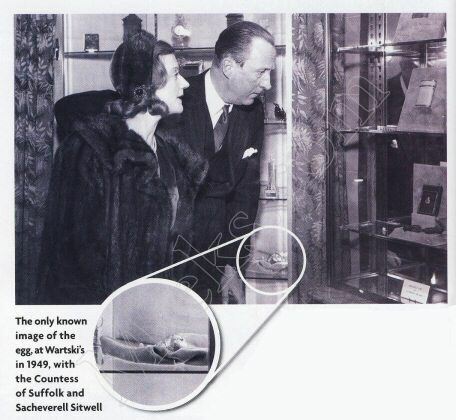 Above the only known image of the egg, at Wartski's in 1949, with the Countess of Suffolk and Sacheverell Sitwell. 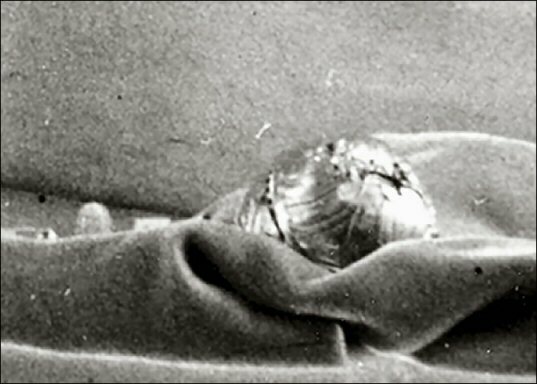 Source: The Fabergé Research Site - Recent Discoveries. Thanks to a lady in the UK, we now have a good image of the 1889 Imperial Easter Egg! The image was found online but the original poster could not be tracked. 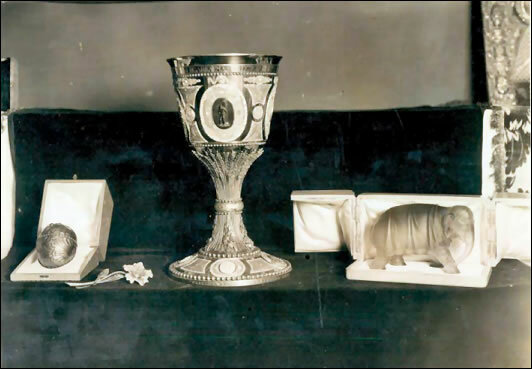 Fact however is that the Egg is next to the gold chalice that was later bought by Marjorie Merriweather Post (see Collectors) and known to have been exhibited in London in 1935. Below is an enlarged image of the Egg. Both images, courtesy Wartski. 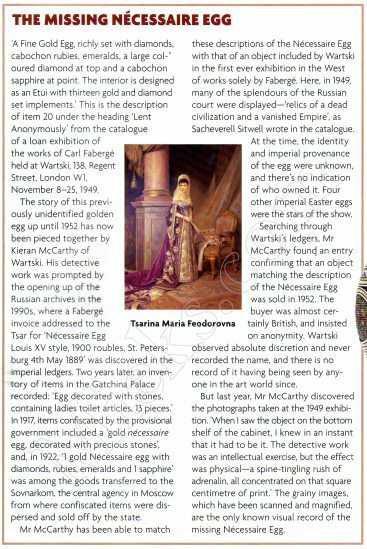 Read all about this discovery at Wartski's website and in the Daily Mail. Now, let's find this Egg! It is believed to be in the UK, but of course could have traveled the world too! 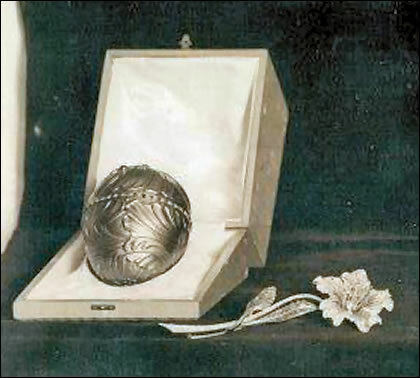 Update April 2014: In The ultimate Easter egg: Fabergé Egg in London, by Hetty Chidwick, dated 9 April 2014, a much better version of the only known photo of the Egg was shown, copied here below. Sure now it must be possible to find this Egg! Below part of the article by Mary Miers in Country Life. 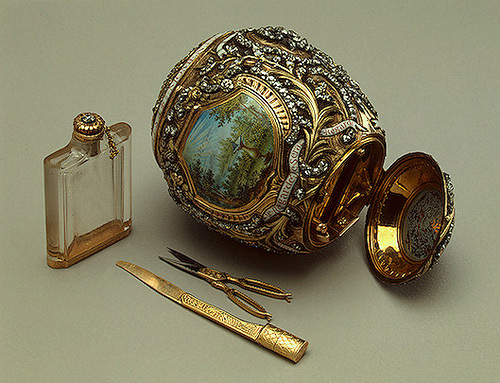 The picture below is not the Fabergé Egg, but a 17th century nécessaire egg! Example of a nécessaire egg.